So,who are the top drone companies in the world? More specifically which company has the largest market share for consumer drones? 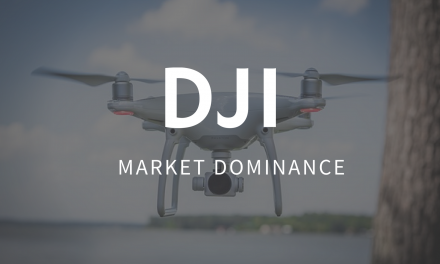 Data for consumer drone market share is hard to attain,however, there is near consensus that DJI dominate with nearly 70% of the market share. I wasn’t surprised by DJ being so dominant (here is my article on DJI’s rise to power), what I was interested in when I first started to compile this list was which drone companies made up the other 30%. 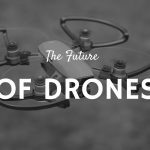 The drone industry has grown at an exponential rate over the past few years and with this growth, we have seen many types of drones enter the market. 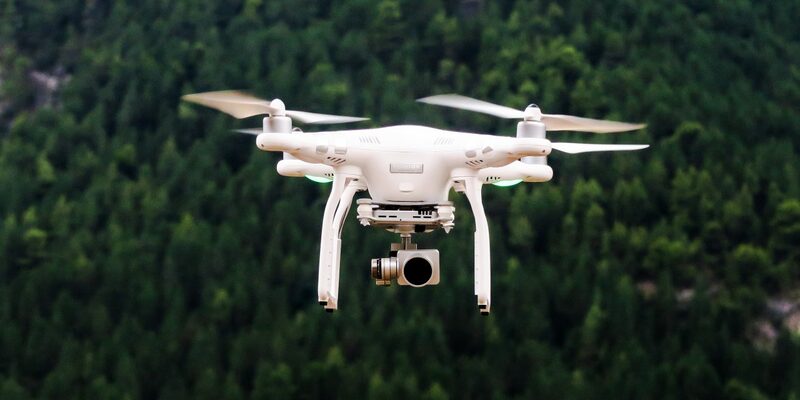 From the cheap $20 Cheerson drones to the more advanced DJI drones that can cost well over $1000,consumers are the true beneficiaries of the many drone companies vying for their business. It may not come as a surprise to many, but Chinese companies dominate this list and for good reason. Some of the best drones are made by these companies and they are staying ahead of the competition through innovation and well-funded R&D departments. Within this list, I also name my personal favourite drones manufactured by each company. So without further delay, let’s get on with this list of the top drone companies in the world. 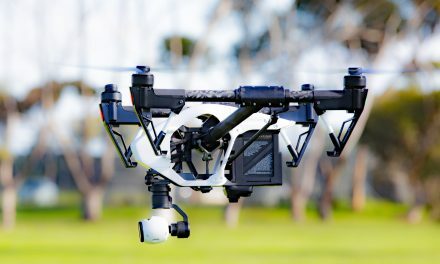 DJI,the undisputed leader in civilian drones and now making their presence felt in the commercial sector as well with the release of drones like the Inspire 2 and the Matrice 600. Founded in 2006 by Frank Wang in his University Dorm room,DJI is now valued at more than $10 billion. This has also made Frank Wang the youngest billionaire in Asia. Based in Shenzhen a major city in the Guandong province, the company also has offices in the United States,Netherlands,Japan,South Korea,Hong Kong, Beijing and Shanghai. Its rapid rise to dominance is due to several factors,they have a well-funded R&D department,access to raw materials,talented engineers and most importantly,they produce fantastic drones. With innovative designs and technologically advanced features,DJI drones are a joy to fly. Their most popular range is the Phantom series,although personally my favourite is the compact yet powerful Mavic Pro. Not content with dominating the higher end of the drone market,DJI recently released their first budget drone, the Tello drone, which is built in conjunction with Ryze Tech is the perfect drone for beginners. The Mavic Pro -A compact foldable drone that comes with very powerful features. A personal favourite of mine,this drone comes equipped with a 4K camera,intelligent flight modes including a new gesture mode and obstacle avoidance system. This is a perfect drone for those who travel a lot. Read my full review of the Mavic Pro here. The Phantom 4 Pro – The most advanced drone in the popular Phantom range,this drone is perfect for both hobbyist and professionals. It comes with an upgraded 4K camera that has a 1-inch 20 megapixel CMOS Sensor which is nearly 4 times larger than the one on the Phantom 4. It also comes with the most advanced obstacle avoidance system,it can avoid obstacles in 4 directions!! Read my full review of the Phantom 4 Pro. The Spark – DJI’s smallest drone to date and one that isn’t priced as high as their other top of the range drones. Weighing just 300g,this drone comes with all the advanced features that make DJI drones stand out from the rest. With its 4k camera stabilised by a mechanical gimbal and intelligent flight modes,taking smooth videos will be no problem. The Spark is also compatible with DJI Goggles for a more immersive flying experience and it has obstacle avoidance system for extra safety. The Spark also makes a great drone for taking selfies with. One of the oldest company in this list,it was founded in 1994 by Christine/M De Tourvel, Jean-Pierre Talvard and Henri Seydoux. As well as drones they also specialise in various wireless technologies. 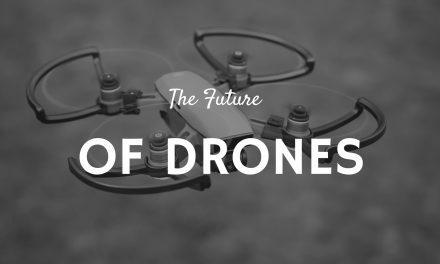 Their first venture into the world of consumer drones was in 2010 when they released the popular AR Drone. They have since released several others including the flagship Parrot Bebop 2.0. Whilst they have been overshadowed by the likes of DJI and Yuneec in the consumer drone market,Parrot have been making waves in the commercial sector by offering drone solutions for firefighters and farmers. Parrot Bebop 2.0 – Parrots flagship consumer drone,the Bebop 2.0 is a lightweight compact drone that is easy to travel around with. Weighing less than 500g the drone comes with some powerful features like the 1080p HD camera that is digitally stabilised to give you distortion-free videos. The camera also comes with a 14-megapixel fisheye lens, which may not be to everyone’s liking but still provides crisp HD images. Read my full review of the Bebop 2.0. AR Drone Elite 2.0 – The successor to Parrots first consumer drone,the AR drone Elite 2.0 is designed for beginners but experienced pilots can have some fun with it as well. The drones come with a decent camera that can record in HD 720p,it can also stream live video to your smartphone/tablet.Flight time is around 12 minutes and 50m control range. It has a robust build and will not break easily if it is crashed. Read my full review here. The Mambo mini-drone – A unique drone that is a lot of fun. The Mambi mini-drone is not like other drones,it has no camera,which is what most people enjoy about drones (Well most people like me). It has a cannon shooter with which you can shoot small pellets whilst in flight and it has another attachment called the grabber that lets you pick stuff up with the drone. Uts small and light weighing no more than 65g and is perfect for indoor flight. Probably the closest challenger to DJI’s dominance,Yuneec has an awesome range of drones whose features match up with DJI’s best. Founded in 1999 as a manufacturer of RC model aircrafts,it has since grown into an international brand with office in Shangai,Hong Kong,Hamburg and Los Angeles. Yuneecs most advanced consumer drone,the Typhoon H, was the subject of a lawsuit by DJI who claimed that Yuneec had infringed on two of its patents. Personally, I thought the lawsuit was a bit ridiculous but it goes to show how threatened DJI felt with the release of the Typhoon H.
Typhoon H – The most advanced consumer drone in Yuneecs arsenal,this drone is not your traditional quadcopter but a hexacopter,which means it has 6 rotors that makes it look like a commercial drone. 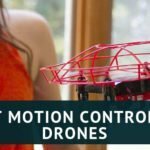 Not only is the design unique to consumer drones but it also comes with some very advanced features like its Intel® RealSense™ technology that lets it sense and avoid obstacles. The drone is fitted with a 4K camera stabilised by Yuneecs 3-axis anti-vibration CG03+ gimbal and it has a flight time of around 25 minutes. It is also surprisingly compact for a large drone as its arms and landing gear can be folded up for more convenience. Read my full review here. Q500 4K – Yuneecs first 4K consumer drone,the Q500 4K has all the features that we know associate with high-end camera drones. Its UHD camera can record in 4K at 30fps and take 12 megapixels still images. Its remote controller has its own integrated android powered tablet which means you will not need your own smartphone or tablet for fpv purposes. It has a sleek modern design and is pretty lightweight, weighing just over 1kg. It also has a couple intelligent flight modes and is compatible with Yuneecs Wizard controller. For a full review click here. Yuneec Breeze – One of the smallest drones on the market but one that is exceptionally powerful. The Breeze is Yuneecs answer to the DJI Mavic and GoPro Karma but comes at a fraction of the price of its competitors. The Yuneec Breeze comes with a fantastic 4k camera that can shoot stunning videos and take 13 megapixel still images. The drone is controlled via a smartphone and is compatible with both iOs and Android. The Breeze has several intelligent modes and you can share photos and videos through its Breeze Cam app. Founded in 2010,Hubsan are a robotics company based in China who primarily make toy drones. They have a well-funded R&D department and have recently ventured into the high-end drone market with the release of the H109S X4 series. H501S X4 – One of the more expensive drones in the Hubsan X4 range,it comes with a 1080p camera with which you can take some pretty awesome videos and still images. It also comes with a remote controller which has a 4.3 inch LCD screen which will let you stream live video from the camera. It has a couple of intelligent features like an automatic return home and follow me mode. With a flight time of 20 minutes,this is a very good drone with some cool features at a reasonable price. H109S X4 Pro – This drone is Hubsans first venture into the high-end drone market. So far it looks like a winner with its HD camera stabilised by a 3-axis gimbal. The controller comes with a large 9.3 inch LCD screen for crisp fpv capability and has a transmission range of around 1000m. There are actually 3 versions of this drone with the Pro version being the most expensive. H107C X4 – The most popular Hubsan drone,the H107C is very much what you would expect from a toy drone.Light-weight,with a simple design the drone has some cool features like a 2MP camera with which can record videos and take half decent images. Its pretty durable and can take the occasional bumps and you can do some nifty flips with the touch of a button. A relative newcomer on the drone scene,located in the state of Washington,Autel Robotics have released a couple of top of the range camera drones with promises of more on the way. 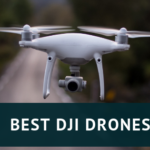 I couldn’t find much information about the company on their website,however, their drones have had good reception and they could be a future challenger to DJI’s dominance. Autel X-Star Premium – Autels most advanced drone and one that looks a lot similar to the DJI Phantom range and that’s not where the similarities end. It comes with a 4k camera stabilised by a 3-axis gimbal and a couple of intelligent flight modes. Flight time is just above 20 minutes and its intelligent battery as 2 failsafes,when the battery goes below 25% charge it will automatically return home and below 10% it will land at its current location. It has modes for both beginners and experienced pilots. Read my full review of the Autel X-star here. Meijiaxin Innovative Technology Ltd also known as MJX RC Technology, are a large technology company founded in 1983 and based in China. They specialise in RC drones and are the manufacturers of the popular Bugs series. MJX Bugs 3 – The most popular drone from MJX and one that was a move away from the toy drones they were known for. The Bugs 3 is a pretty sleek looking drone,its made from nylon fibre and weighs just over 1.5kg. With its powerful brushless motors, it can fly relatively well in harsh weathers. You can attach select GoPro cameras or MJX own action cameras for aerial photography. Flight times is around 18 minutes but this is reduced if you attach a camera to it. MJX X101 – A lightweight drone that is suitable for beginners and experienced pilots. The X101 comes with a headless mode for easier flying and one key return button so that you don’t lose the drone during flight. You can also attach a camera to the drone and connect a smartphone to the controller for fpv. Another leading drone manufacturer from China,Syma have been in operation for 10 years and have built a reputation for manufacturing awesome drones for beginners and kids. 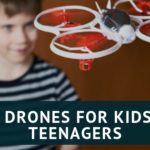 If you have ever looked to purchase a drone for kids or beginners, most likely you would have come across a Syma drones. Syma X5C – Despite being a few years old,the X5C still remains a very popular drone for both beginners and drone enthusiasts. Its cheap,comes with a decent camera and is easy to fly. You can also do some cool manoeuvres with it and it has coloured led lights underneath each rotor which makes it great to fly during twilight hours. Read my full review here. Syma X5SW – Similar to the X5C,however the X5SW comes with a better camera and fpv capability. You can attach your smartphone to the RC and stream live video from the X5SW camera. Flight time is around 5-7 minutes so purchasing extra batteries are always advised. Cheerson are a Chinese manufacturing company specialising in toy drones,they have been making drones for more than ten years and have established partnerships with a couple of regional universities for R&D purposes. They also recently started to manufacture drones for racing and aerial photography. CX-20 – One of their most popular drones,the CX-20 is a decent drone for aerial photography and is compatible with GoPro cameras. Its made easy to fly through the Intelligent Orientation System and is pretty fast reaching a maximum speed of around 22mph. Flight time is around 15 minutes and it has an automatic landing feature when the battery gets to low. CX-10 – A very popular toy drone,so tiny you can fit in your pocket. Comes a variety of colours with led lights on its rotors.There isn’t much else to say other than it’s a simple drone that is fun to fly. Hobby Horizon are an American based company specialising in RC products including drones. They are the manufacturers of the popular blade drones and sell everything from toy drones to the more advanced aerial photography drones. Blade Nano QX – A miniature drone that comes with some powerful features. Its installed with Hobby Horizons innovative SAFE technology that will stabilise the drone while it hovers. Fight time is around 8 minutes and is safe to fly indoors. Read my full review here. Blade Mach 25 – A fpv racing drone that has a carbon fibre frame and streamlined body for better aerodynamics. This drone is for experienced pilots looking to get into drone racing. Its fast and agile and comes with SAFE technology for easier control. A technology company based in China that manufacturers RC drones. Although relatively new, their drones are gaining in popularity and can be purchased from most online retailers like Amazon, eBay and Walmart. Ad well as drones they also make RC boats VR headsets. UDI U818a – Their most popular drone,comes with an HD camera,altitude hold function for easier control and has fpv capability. It also has one button for taking off and landing and you can attach a VR headset for a more immersive flying experience. A perfect drone for beginners,read my full review here. Kestrel U28-1 – One of the more advanced drones in their range,it comes with a 720p camera with 120° wide-angle lens. The controller is fitted with a 4.3 inch LCD screen for fpv and is compatible with VR headsets. The consumer drone market is a very crowded field,there are many more companies looking to break into this very competitive market.Unfortunately,even some big name players had to cut their losses and exit the market. 3DR,the manufacturers of the worlds first smart drone the Solo, couldn’t compete with the likes of Yuneec and DJI. Big things were expected from GoPro when they released the Karma drone,however that run into trouble as soon as it was released and had to be called back. GoPro never recovered and announced recently that they were exiting the consumer drone market along with a substantial education in their workforce. There are a few names I didn’t mention,however I believe they may make some impact in the future. One is the Xiaomi Mi drone, an aerial photography drone that has been well received. Xiaomi are known for producing smartphones,smart tv’s and other high-end electronics,so they have the expertise and funding to make a mark in the drone market. Remember the Lily drone? The one that had $34 million in pre-orders but had to shut down operations because of production costs? Well they were bought by a group called the Mota Group and they relaunched the Lily drone with all new features including a 4K camera. It seems like they competing directly against the DJI Spark and Yuneec Breeze. However,they also have a range of other drones including nano drones for beginners and drones for commercial applications. The Mota Group have been around 2003 under different names but have always been in the aviation industry and have a very ambitious aspiration. So,that is another company worth looking out for. So that is my list of the top consumer drone companies, do you agree with the list? Are there any other companies that deserve a place? Let me know in the comments.